In today’s technologically advanced world, people can be reached anytime and anywhere. With web conference services, not only do businesses are given the chance to benefit from them but professional educators and students as well. Web conferencing has effectively aided in professional development and student education by making global learning much easier to achieve. Ensure that your educational institution is making use of web based video conferencing to make sure that you don’t miss out on a valuable learning tool that can pave the way for more opportunities. Interacting with others. A lot of colleges and universities these days are using online meeting software so that they can interact with other schools in an easier way. With the software, they are able to collaborate, gain new ideas and share lectures with other schools. Students also find the software helpful academically, because they can easily talk to other students from other schools who could help them solve problems and explain lectures given by their respective professors. Benefits for the students. Since a lot of colleges and universities are already employing this technology, students who wish to sign up for a class held elsewhere can not only sign up but attend as well without having to leave their schools. 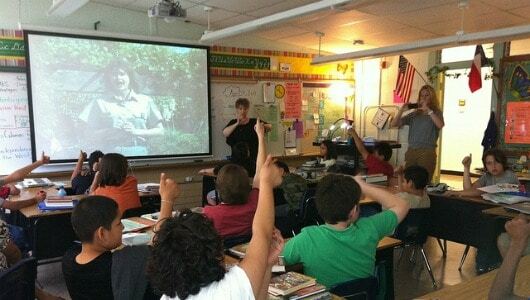 Because the technology has a video tool, students are given the feeling of being in a real classroom. The only difference is, the lecture is conducted online and you have classmates from all over the world attending the same class as you. User-friendly software. The web conferencing software usually employed by colleges and universities need not be downloaded on the students’ own computers. They can simply open their internet browsers and join from there. The interface of the software is very user-friendly and thus can be operated easily by students and professors alike. On their own convenient time slots, professors can conduct remedial sessions to students, meet with members of the board and provide tutoring sessions to students from all over the globe online, without having to get up from where they are. Uses for it by Universities and Colleges. Web conferencing in schools has endless uses but here are the top uses for it: orientation, classroom presentations, trainings, seminars, student interviews, college and university tours, meetings and outreach services. Lectures can be recorded. Without this technology, students who missed their classes will have to rely on other students’ notes or their books to catch up. On the other hand, with web conferencing, professors can decide to record their lectures so that students who failed to come to class will have the opportunity to catch up. This tool would also serve to be very useful if natural disasters happen and professors as well as students cannot make it to their school. They can simply turn on their computers, connect to the software and resume their class online. Aside from that, schools can now invite guest lecturers and experts to give a seminar or a talk without having to physically bring them to the school which can be expensive. Foreign language practice. Since students are given the opportunity to interact with other students from all over the globe, they can authentically learn new languages which may help them with some of their classes. A world of opportunities. Universities and colleges who invest in web conferencing software are given new opportunities every day. Students and professors who attend web-based conferences always encounter new learning opportunities that they might not have gained if it wasn’t for the technology of web conferencing. Time-efficient. With this tool, students as well as professors are now given the opportunity to communicate to one another without having to fall in line or wait outside the office doors. Due to this, students wanting to ask their professors questions are given answers faster allowing them to finish more school-related activities and focus on studying. Web conferencing is a good educational tool that can widen not only students’ but professors’ knowledge as well. Employing this technology will make it easier for students to learn, professors to teach and for everyone to gain new educational opportunities. If you find this post helpful, feel free to share it with your friends and colleagues! Justin is a part time blogger, who loves to write on topics related to education, learning and practical knowledge training. He prefers the use of technologies to aid the process of learning.